A wonderfully versatile rod, brilliant for targeting silver fish on canals and stillwaters, light pellet waggler work on commercials, plus a great small river rod. Forgiving but with a beautiful, progressive fast taper action, breaking down into two pieces so it can be left assembled in a ready rod bag. 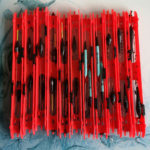 More powerful than the CR10 11ft No1, a great commercial float rod that can handle F1s and match-sized carp with ease. Two-piece construction for storage with reel and winder/rig attached. Non-locking progressive action. James Robbins and Paul Kozyra demonstrate waggler chub fishing at Stonebridge lakes in North Yorkshire, featuring the CR10 11ft, 13ft Match rods. 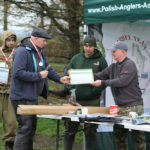 Report from the GP1 match from the Polish Anglers Association from their 48-hour barbel fishing match held over the 8 - 10th of March. Yet again I have nothing but positives to say about these rods, the CR10 11ft Match #2 is just great, it really is a joy to use, value for money is second to none. If you haven’t tried a Cadence product, I’d recommend you look out for the road shows and get along, you’ll be glad you did.